Rome is one of the most beautiful, glorious, metropolitan city & capital of the Italy, also the largest city in Italy and most populated commune (4.3 million) and fourth-most populous city in the European Union. The Metropolitan City of Rome has beautiful Monuments, Museums, Buildings, Churches and Basilicas, Catacombs and Rome’s Castels, Amazing gardens and villas and the wonderful fountains in the city. 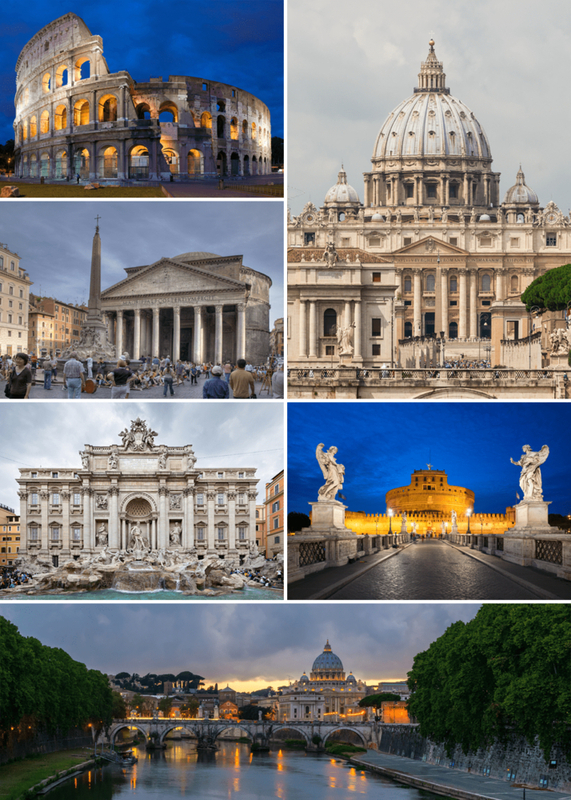 The most tourist attractions in the Rome are Colosseum, Roman Forum, Basilica of St. John Lateran, Spanish Steps, Trevi Fountain, Pantheon, Vatican Museum, Arch of Titus. Modern Rome has 280 fountains and more than 900 churches. In city attractions you can find the different most visited places in and arround Rome.